I have meet a strange problem with TP4 files downloaded from AMX website. 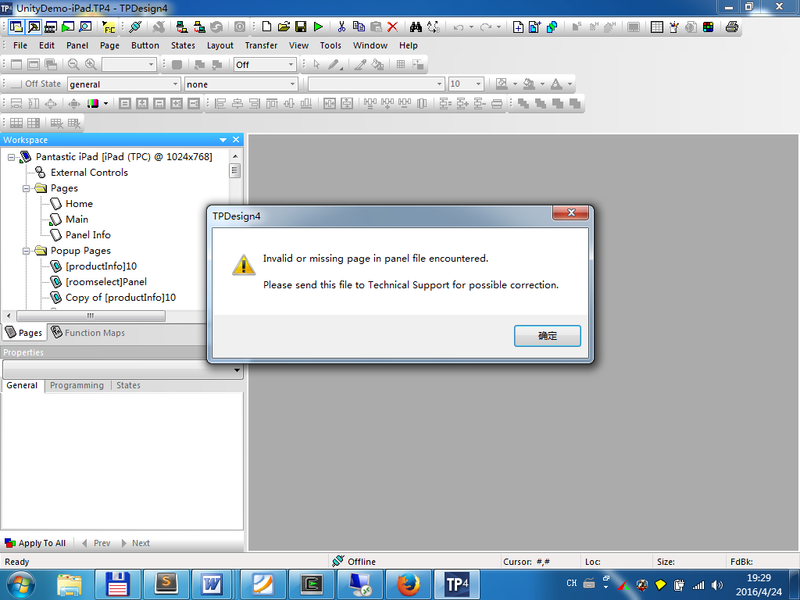 The file can be opened by tpdesign4 but have problems with modification. When I try to open the Main page, a error message popup as following attached file. Then I checked with the "Resource Manager" image page, there is nothing. After some digging, I finally find the solution to open the file properly. It's language related. After I changed my windows system local language from "Chinese" to "English", problems gone. But another issue comes out: I can't use input chinese words to the UI. Does anyone has experience with such a problem? How can I use the UI with Chinese(or unicode I think) language?